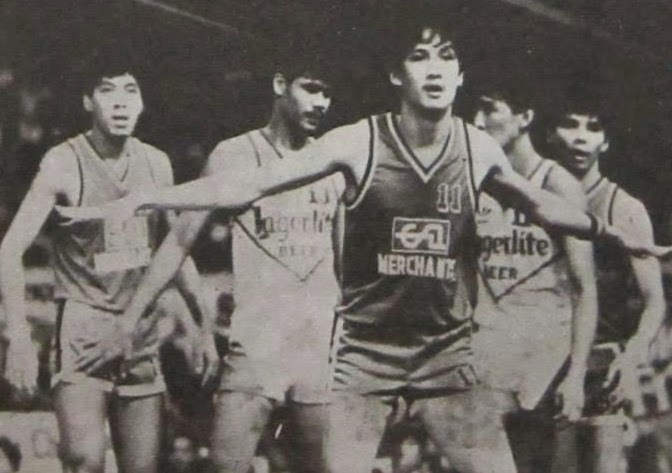 A memorable PABL finals showdown between ESQ Merchants and Lagerlite Beer in 1985. 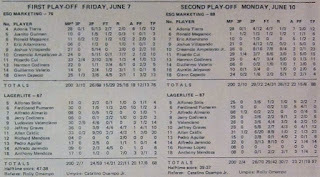 Lagerlite had a twice-to-beat advantage over ESQ, after going unbeaten in the 8-team semifinal round. 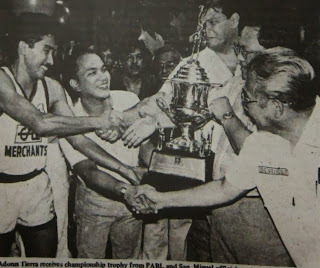 The Merchants forced a winner-take-all with a 76-68 victory on June 7, handing the Beermen their first defeat in the tournament. 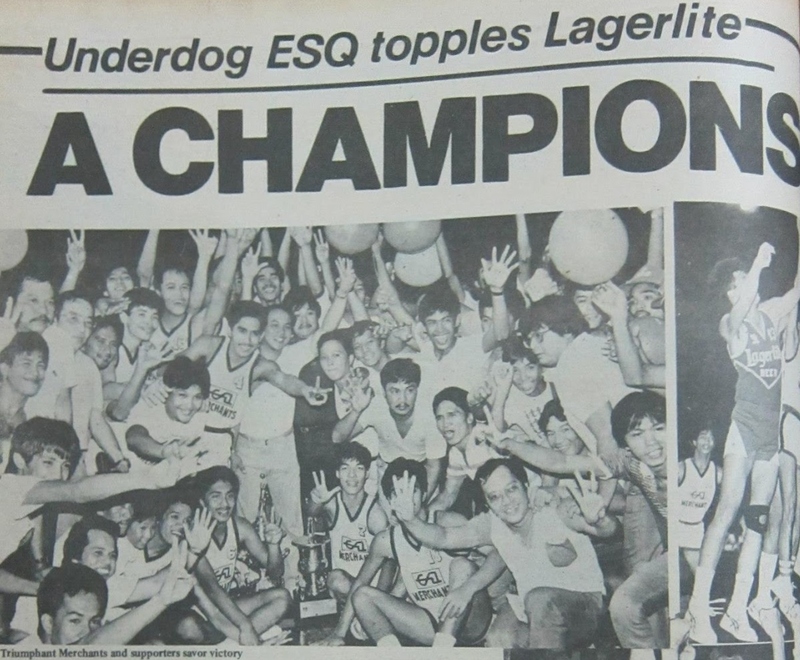 The ESQ Merchants repeated with a close 88-87 win over Lagerlite on June 10, to win their third straight PABL title. 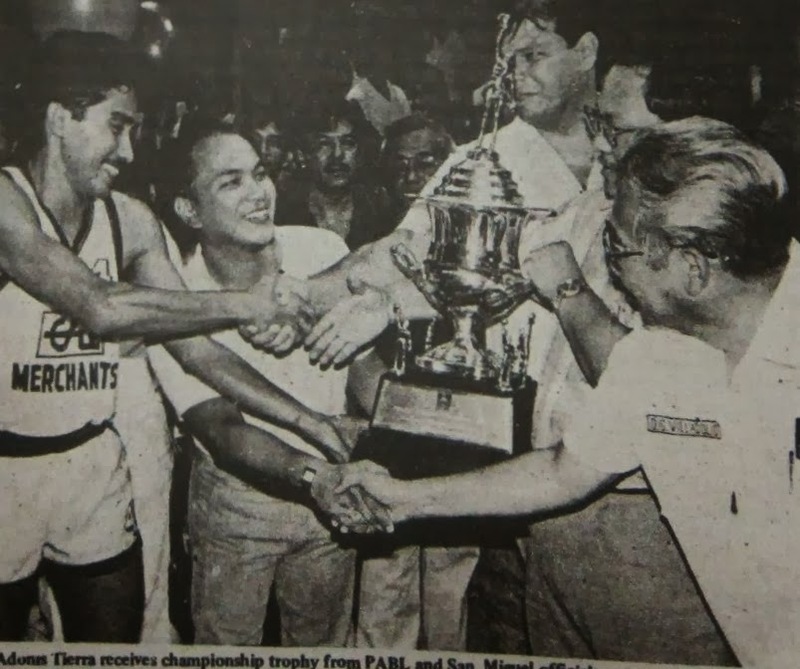 The Mythical five of the 1985 PABL Invitationals were Jojo Lastimosa of Mama's Love, voted the Most Valuable Player of the tournament, Allan Caidic of Lagerlite, Joseph Pelaez of ERDC, and ESQ guards Adonis Tierra and Ricky Cui. 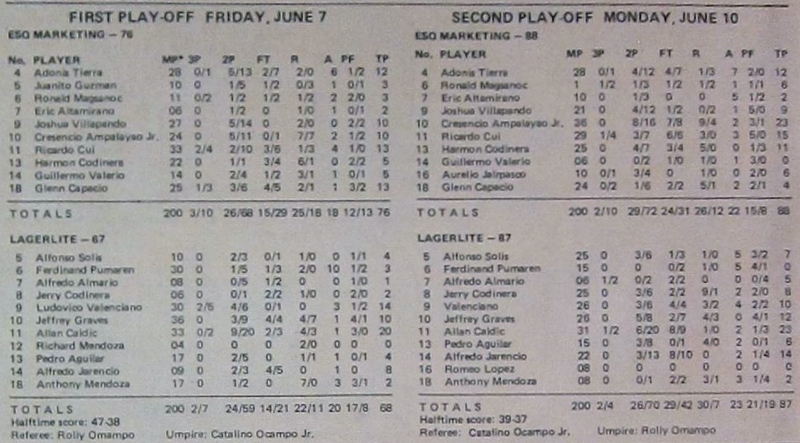 This is what I really appreciate - boxscores!!! 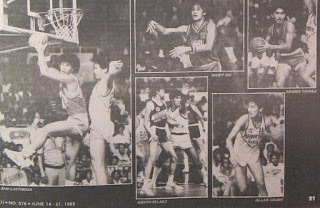 I am happy as long as minutes played, field goal attemppts/ made free thow attempts/made are showns. 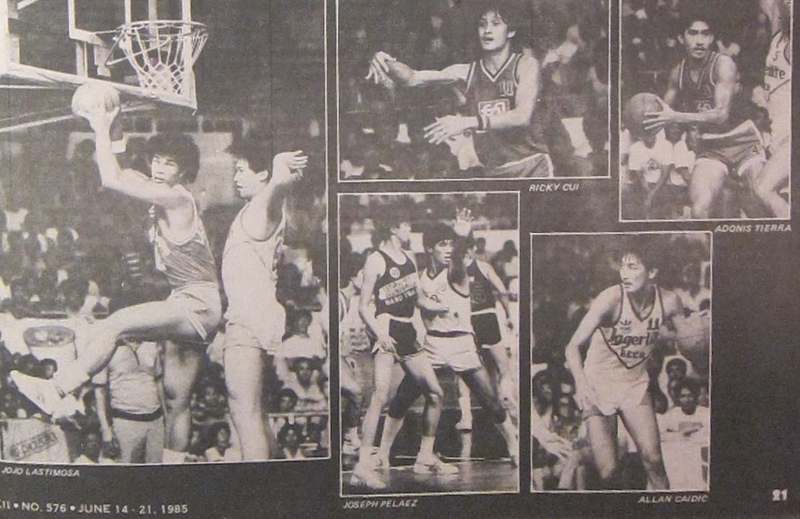 Blocked shots, steals, turnovers are already a bonus. My twin brother and I were able to watch the last final game. 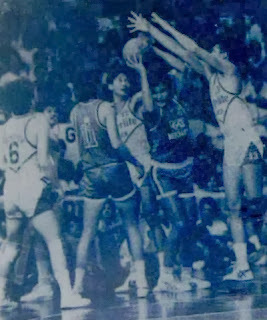 The key was when Harmon Codinera was able to block brother Jerry' s attempt. 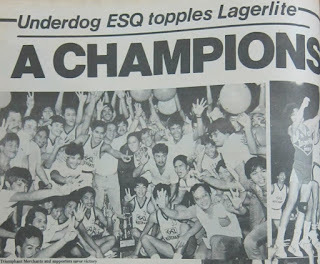 Later on, winning coach Joe Lipa admitted that he took a one step backward two steps forward strategy since it's impossible to beat a powerhouse like Lagerlite (which was virtually Ron Jacob's national team) twice.